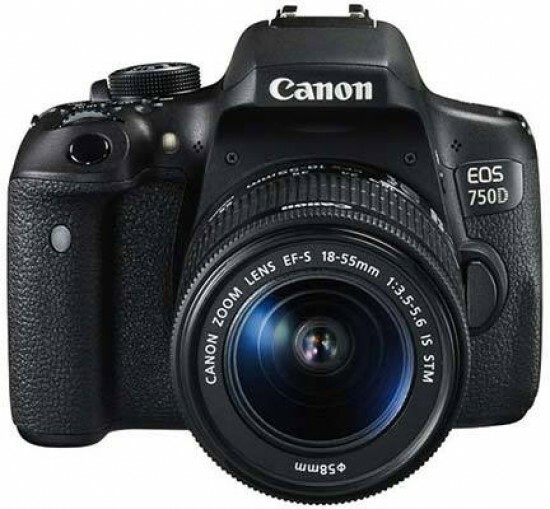 The Canon EOS 750D/Rebel T6i marks the tenth generation in a series that started way back in 2003 with the 300D/Rebel. However, each revision hasn’t always brought significant improvements. Whilst the 700D made waves with its touch-screen interface, its sensor dated back three generations to the 550D/Rebel T2i and was now outperformed in resolution and image quality. Thankfully the 750D addresses this and is arguably the most significant generational leap forward since the 550D. Granted, on the outside it’s almost identical to its predecessor, but given the 700D’s ergonomics, control layout and touch interface are already excellent, that’s no bad thing. The big changes are under the skin, starting with the superb 24.2MP APS-C sensor. It gives the 750D the ability to generate incredibly clean images with low enough noise levels to make even ISO 12800 shots stand up to close scrutiny. Detail and colour reproduction are also first class, and the new exposure metering system delivers consistent results. Moving from a nine to nineteen-point autofocus system is another significant improvement over the 700D and helps make the Canon EOS 750D even more dependable, especially due to all the AF points being the more sensitive cross-type. Canon’s addition of a dedicated AF-mode button on the top panel is also a welcome new control. Less vital but still desirable are the Wi-Fi connectivity features introduced with the 750D. Though the system can be a bit fiddly to set up, especially if you’re connecting to a non NFC-enabled smart device, it works well once connected. It’s a pity that the Canon EOS 750D still lacks GPS and it won’t record Ultra HD 3840x2160 video, yet this is clearly becoming the industry standard resolution. Other annoyances include the viewfinder’s 95% frame coverage which is beaten by the rival Pentax K-S2, and this also offers weather sealing, in-camera image stabilisation and a higher maximum sensor sensitivity than the 750D. But the most aggravating problem with the Canon EOS 750D is battery life. Its 440 shot-capacity is acceptable, being both a match for the 700D (despite the extra power requirements of a higher sensor resolution) and the Pentax K-S2, but the 820-shot lifespan of the Nikon D5500 puts it very much in the shade. Even so, this is really the only major drawback with what’s otherwise a superb entry-level DSLR. The Canon EOS 750D has the features and ease of use to make it a great introduction to DSLR photography, whilst also delivering the top-notch performance and image quality demanded by enthusiasts. Although it can’t quite match the sheer value and features boasted by the Pentax K-S2, it’s very hard to fault the 750D’s performance and image quality, which is easily a match for the Nikon D5500. Choosing between the 750D and 760D entirely depends on how much you value the latter’s secondary LCD display and rear control wheel. But since these features will cost you an extra £50/$100, we can’t help but think the same money would be better spent on a Canon EOS 750D with a second battery.